The new BMW M4 GTS is an incredible performance machine on and off the track. One of the biggest, most talked about features is the new water injection system. This is not a new technology, however, it has been refined to a level where the performance advantages cannot be ignored. Who developed the water injection system in the BMW M4 GTS? 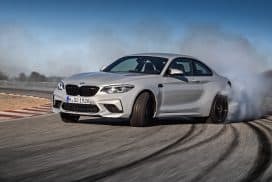 The water injection system found in the new BMW M4 GTS was co-developed by BMW and Bosch. 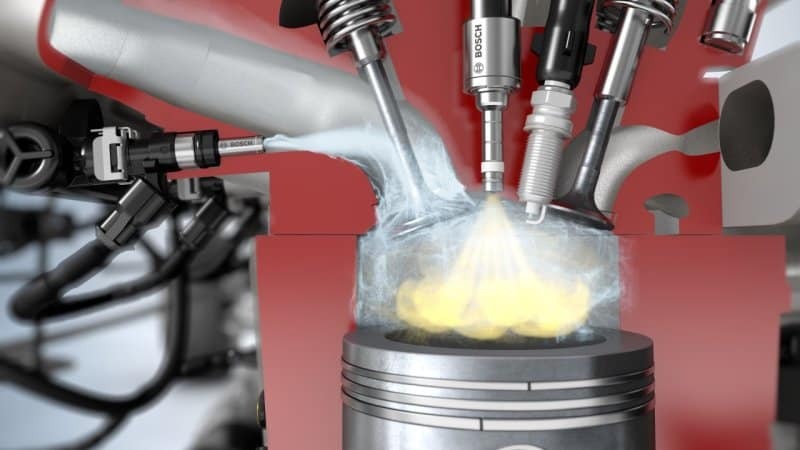 Injectors spray water mist into the intake manifold, which quickly turns to water vapor through evaporation. As the water evaporates the air temperature is lowered by about 80 degrees F. This is the same principle as your body sweating. When your body sweats, the water on your skin turns to vapor and lowers your body temperature. Cooler air also means more dense air. The denser the air, the more fuel can be burned thus creating more power. Vehicles at sea level take in more dense air than at altitude on mountain roads. The thinner air at altitude decreases engine performance. In aviation, many piston driven engine aircraft compensate for the thinner air at altitude by using turbos. The turbos literally ram more air into the engine to compensate for the thinner air and create more efficient power. 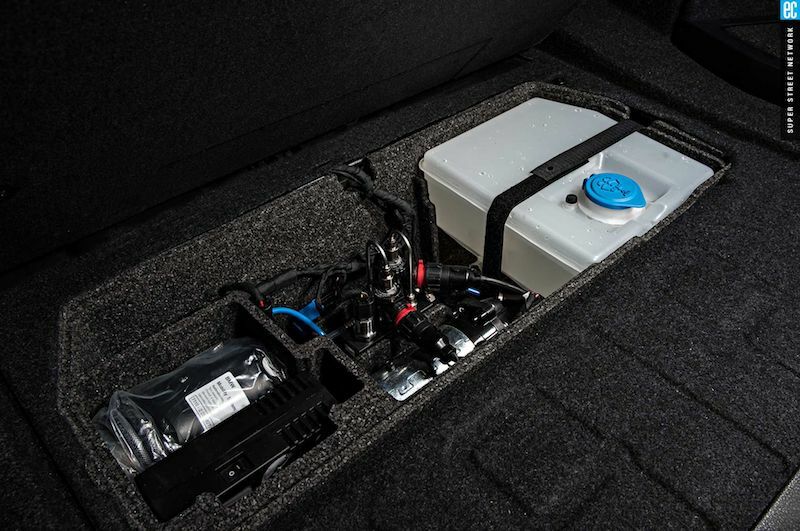 The BMW M4 GTS has a water reservoir the trunk where the spare tire is traditionally stored. 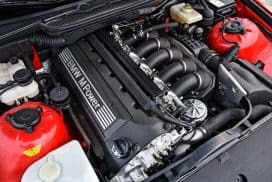 How is the water injection system activated? The vehicle will automatically detect if water is present in the reservoir or not. Water injection is not a manually activated feature. The BMW M4 GTS is able to run with or without the water reservoir full. The computer will seamlessly adjust for the situation. A full reservoir would be ideal for track days or spirited driving around the canyons where the higher performance is desired. However, a full tank is not a requirement to run the car. What kind of water is used? Distilled water. Any other water contains minerals and other contaminants that may harm the motor over time. No, water injection was first used by aircraft during WWII and race cars before making its debut in street cars. The 1962 Oldsmobile Jetfire was the first production vehicle to feature the water injection system. The BMW M4 GTS notices a 49 horse power gain from the water injection system over the competition pack M4. BMW claims fuel efficiency can be increased by as much as 13 percent. Emissions are lowered by as much as 4 percent. These efficiency gains are typically seen with forced induction engines which output at least 107 hp per liter. The lower air temperature also prevents pre detonation of the air/fuel mixture. 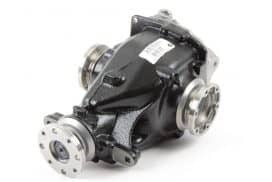 Pre detonation has been a problem with turbo motors since turbos naturally heat the intake air. 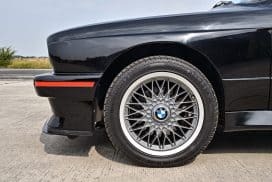 The water injection system cools the air significantly enough to where the turbo's boost has been safely increased to 22 psi from the standard 17 psi on the base models. The downside of this system is that you have another tank in your car to fill. The BMW M4 GTS can seamlessly adjust for a full or empty reservoir without issues. Bosch claims 1,800 miles can be driven on a full water tank before needing to be refilled. An obvious concern is the availability of distilled water access while on the road as well as how cold climates will account for the potential freezing of the water reservoir. What is the future of water injection? 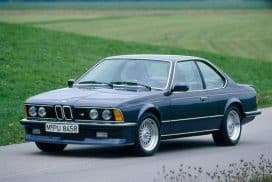 As of now, BMW does not plan to mass implement this technology into other production vehicles. More development needs to be done. Bosch has stated consumers may see the technology in more production vehicles in 2019. 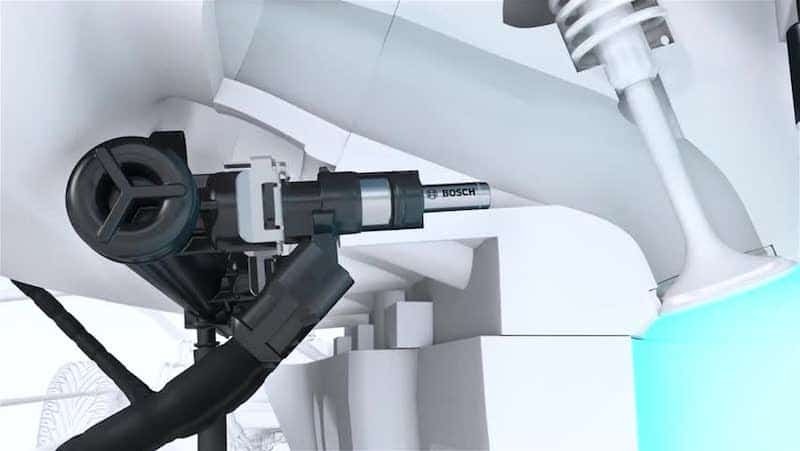 Watch the quick video below for a visual on how the Bosch water injection system works. 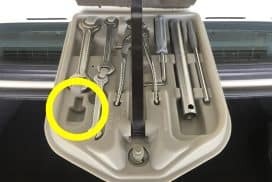 What tool goes in this BMW tool kit location?